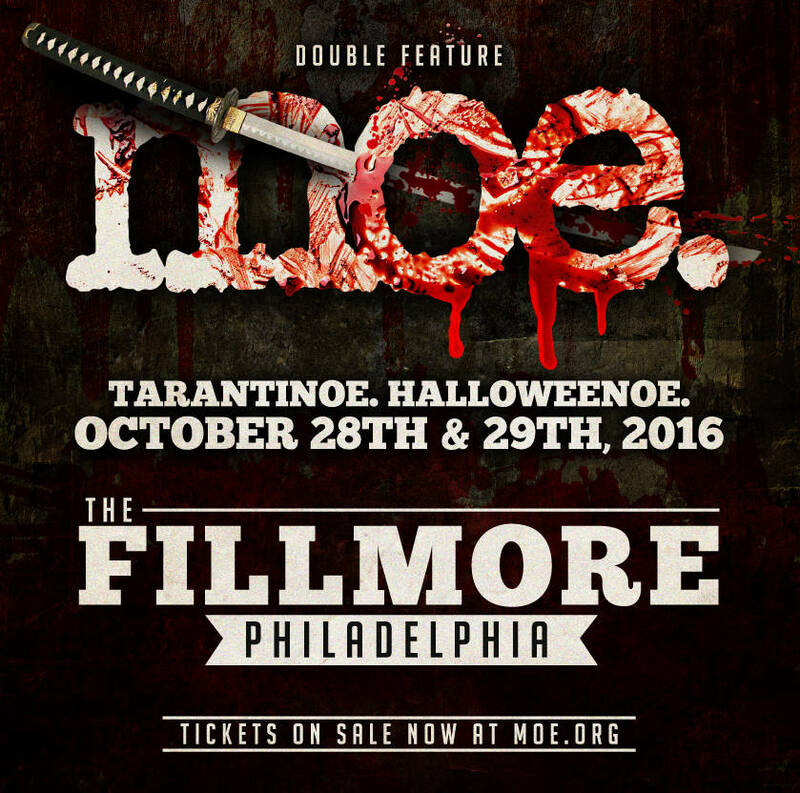 A raucous two day Halloween party in Philadelphia from jam band moe. Long-running American jam band moe. have announced their annual Halloween show and this year they’re turning it into a two day concert party double bill at The Fillmore in Philadelphia, complete with costumes and other theatrics, to celebrate the “grisly, satirical wit of Quentin Tarantino’s films along with the notorious music that accompanies them.” The band promises to present new takes on Tarantino favorites as well as incorporate songs made famous by the director’s films into their own originals. If you’re on the East Coast, it sounds like a great way to celebrate the holiday. But you better act fast; tickets are on sale now and selling fast.